Telkom did something last week no one thought it ever would: its Internet service provider, TelkomInternet, jumped onto the uncapped broadband bandwagon, adopting a market trend started 18 months ago by its rival, MWeb. The news came as a surprise because last year Telkom sent a newsletter to its subscribers decrying the market move to uncapped offerings. Telkom Group CEO Nombulelo Moholi — at the time she was still Telkom SA’s MD — quickly apologised for the newsletter, explaining it was meant to educate customers about the disadvantages of moving to uncapped services, not to talk down to them. But she emphasised that Telkom had no immediate plans to offer uncapped Internet. 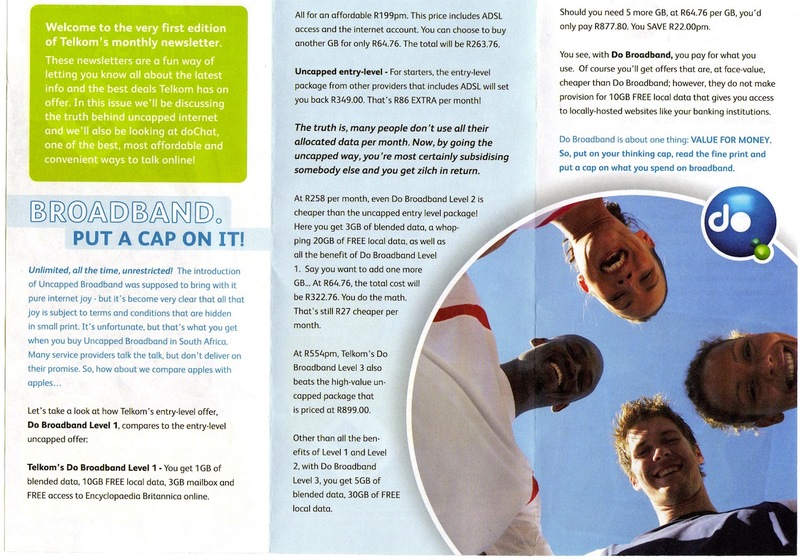 So, last Friday’s announcement that it was making the move to uncapped broadband represents a dramatic about-turn. Competition played a big role in forcing Telkom’s hand. MWeb says a majority of its customers now use its uncapped products. And even wireless rivals have joined the fray, with MTN launching an uncapped mobile special offer for a four-month period, presumably to test demand and the impact on its network. iBurst also took the wraps off its first uncapped products last week. But there appears to be something much bigger at play behind Telkom’s decision. 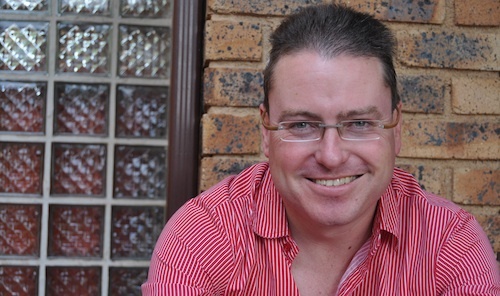 Steven White, Telkom’s executive for converged business services, revealed in an interview with me last week that the fixed-line operator plans to launch video-on-demand (VOD) services within the next year. White said Telkom was already at an “advanced stage” of discussions with a number of local and foreign content providers. He was at pains to explain that Telkom wasn’t out to replicate Telkom Media, its disastrous attempt to launch a satellite-based pay-TV operator. Rather, it wants to offer Internet-based VOD and similar services. The move will put Telkom on a collision course with incumbent pay-TV operator MultiChoice, which is planning to launch its own Internet-based VOD platform, possibly as soon as the end of this year. It already offers a satellite-based movie rental service called BoxOffice, though its selection is limited by disk space on subscribers’ decoders. White said content delivery would be a cornerstone of Telkom’s plans. The television industry in SA looks set to go through colossal changes in the next few years, and not just because of the move to digital terrestrial television. Already, tech-savvy consumers are bypassing traditional broadcast networks and downloading content online. It’s almost certainly not legal to do so, but many people already download popular shows off peer-to-peer networks like BitTorrent just hours after they are first broadcast in the US and months before they reach local pay-TV networks. Curiously, DStv operator MultiChoice, a subsidiary of media giant Naspers , owns MWeb and the Internet service provider’s aggressive pioneering of uncapped broadband has arguably made life difficult for the pay-TV operator. Naspers CEO Koos Bekker appears to be hedging his bets — even to the extent of fuelling creative destruction in his own company. This is probably a smart approach, given how quickly the industry is changing. But the move to uncapped offerings may also inspire international VOD players like Netflix to expand into the SA market, further accelerating competition.